Unfortunately we cannot currently ship guidebooks outside the United States without prior authorization. Please contact us by e-mail if you wish to make arrangements to have a book shipped outside the US. 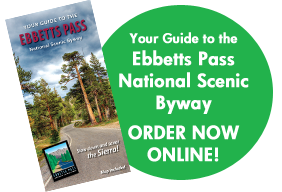 Many people and organizations have helped to make this guidebook a reality. To them, we offer our sincere thanks. 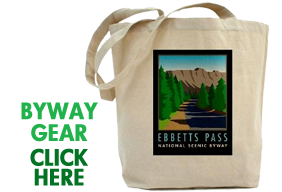 Ebbetts Pass National Scenic Byway. We hope your journey is epic, as well.